Lovely murals, my favorite are #1 and 3. What a fun collection this week. I wonder where you wandered. Such pretty murals! I like to see public art like this, Sue. Have a wonderful week! Really cool murals! These are fun to see. What beautiful paintings on the walls !! Murals can really jazz up a place. I love our new Prince murals around town. Cheer up buildings Art Works. It is not monotonous gray. I love the first one most and then the wall art of the workers. Great pictures and colors! Street art make live a little more colorful. 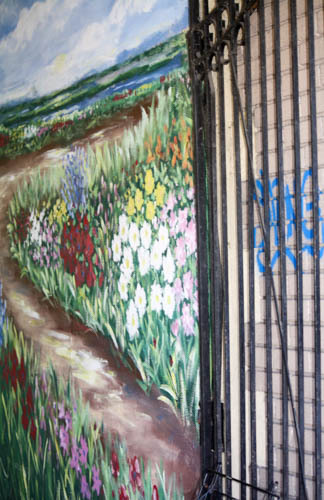 Such spirited and vibrant murals, they bring everything around them to life. That was a fun and cool collection! What great pieces found! Have a fantastic week! Very lovely to see walls and colors! Lots of creativity shared! Greetings in August! 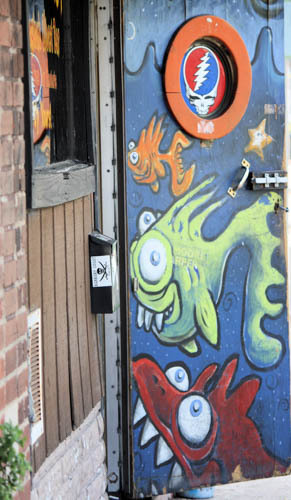 Those fish a are very Dr Seuss...We've got some great stuff near us. And then totally rubbish too! Wow! Very creative and interesting! Thanks for sharing. Very nice murals. I did basically the same blog this week also. The world needs more colour, and thats a perfect way to do it, great photos. Smashing murals there Sue. I likie the blacksmiths one - very creative. A perfect dab of color! I really like the first picture with all the lovely colors. Hope to have you stop by and join my party over at #OMHGWW this week. Fun imaginative artwork. Great photos... thanks for sharing and hosting. Beautiful! Thanks for hosting. Have a great week! Beautiful art! Thanks again for hosting! I always love seeing murals!! Sometimes a dab of color is all you need. Nice set of images. Neat murals! I love seeing public art. Thank you, Sue for hosting. Beautiful murals but I like the one with the workmen at work. Such beautiful, bright murals to liven up the surroundngs. Love them. I love taking photos. However, I am an amateur photographer and do my little bit on Instagram. This is a great idea. Thank you. I see some of the amazing quality of photos so not sure if any of mine would be up to scratch. Mine's all about murals this week, too. Thanks for the invite. 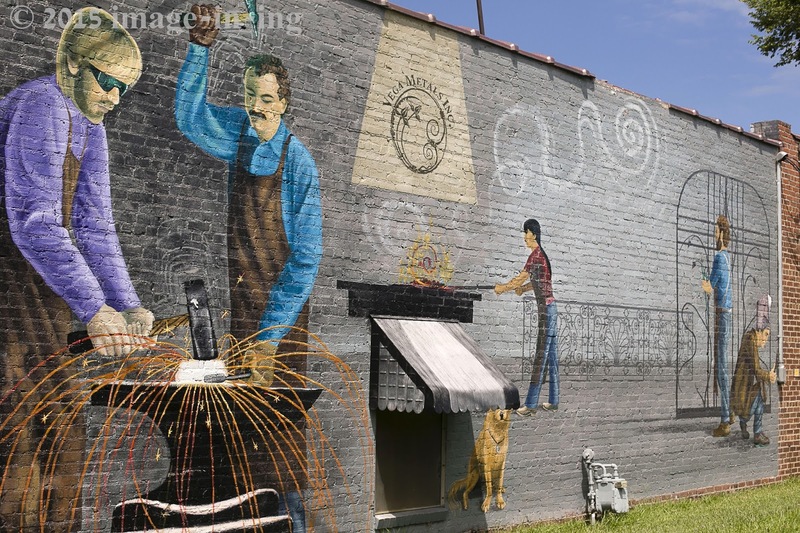 Love the mural with the metalworking and BBQ. I love this art work! What a way to spend an afternoon walking around taking in all these colors! Interesting mural! Beautiful drawings. We have most graffiti as 'smearing' . It's sad for a historical town like Augsburg. What a lovely way to brighten up the world in these places! Wonderful photoart you have found, Sue! Great captures - and such an uplifting effect it must have to the neighbourhood! A little dab of colour but what a beautiful art! I wonder if these artists know that they are really good. Street art is so fun! !